I am expecting the arrival of the 11" iPad Pro late this week, and by coincidence, yesterday, Pixelmator announced the release of a new app aimed at high level editing on iPads: Pixelmator Photo. I already use my 9.7" iPad with a number of editing apps, most notably Darkroom, Affinity Photo and Pixelmator (among others), so was intrigued by this announcement. I clicked on the email link toLearn More which opened a browser page. Near the top is a video of the apps features. I think i was about 5 seconds into this when I went back to the email and clicked on the Pre-Order button. As I was working on the iPhone, this gave me a red card, but I switched to the iPad and made the purchase which was 139 baht ($3.99) before the 9 April release date, from which time it will be priced at $4.99. An iTunes page that opens on the Mac is available but purchases (and pre-orders) can only be made on the iPad. What had stopped me in my tracks was the interface, which reminded me of the almost-gone Aperture on the Mac. Like Aperture, it appears from the video that it will be possible to position the vertical toolbar either to the right or left of the screen. This is a real plus for me as I am left-handed. There are few apps on Mac or iOS with this flexibility. I have asked for confirmation of this on the Pixelmator forum. With more of my work likely to move to the iPad, particularly with its USB-C port and the ability to download RAW images directly to the iPad (it is slow with the SD card adapter and a Lightning port). 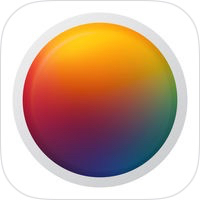 While I already have image editors, what appears to be a good compromise between the over-simplicity of Photos and the complexity of high-level editing software, look as if Pixelmator Photo will do the job well.